IP Welcomes Multi-talented and Versatile Drummer Herman Matthews! Texas-born Herman Matthews headed to Los Angeles in 1988 and his reputation spread quickly. He soon collected touring and recording credits that included Bob James, Stevie Wonder, The Isley Brothers, Expose, Angie and Debbie Winans, Meredith Brooks, and George Duke, to name a few. Herman Matthews has also recorded two CDs, Rhythm & Business and Souled Out, with one of his all-time favorite bands Tower Of Power. He is currently working with Rock & Roll Hall of Fame inductee and three-time Grammy winner, Eagles' Timothy B. Schmit. 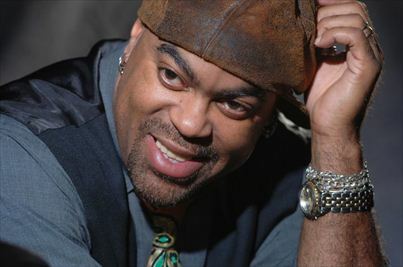 Other artists Herman Matthews has played with reads like a who's who of music including Kenny Loggins, David Foster, Richard Marx, Tom Jones, Michael McDonald, Bill Champlin, Phillip Bailey, Sheryl Crow, Baby Face Edmonds, Herbie Hancock, Chris Botti, James Ingram, Steven Stills, Edger Winter, Luther Vandross, Celine Dion, Michael Bolton, Patty Austin, Chaka Chan, Carol King, SHeDAISY, Ronnie Millsap, Fee Waybill, Bill Champlain, Maxi Priest, Diane Reeves, and Kenny G.